BALTIMORE, November 06, 2017 (Newswire.com) – Testimonial Builder, the premier mobile app for filming and syndicating video reviews, announced that they have surpassed 1,000 downloads of their video testimonial app with the addition of a version for the Android platform. The company initially introduced their app for iPhone and iPad devices but quickly recognized the need to expand to accommodate Android users. In addition to the credibility of video reviews and the social media component, the Testimonial Dealer app leverages the speech recognition capabilities of YouTube and Google. A built-in teleprompter contains keywords customized to the user’s business and location to boost the SEO standing of a business. The Testimonial Builder app is available as a free download on the App Store and Google Play Store. Users can load up to 7 video testimonials with the free version. 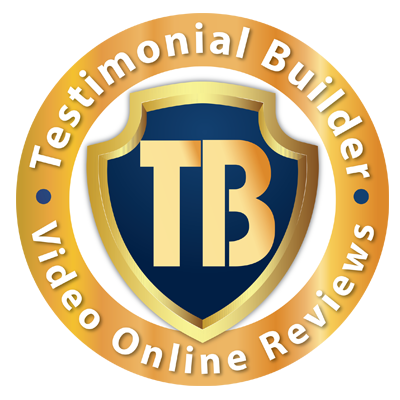 Testimonial Builder is available for any business looking to improve its online presence and share video testimonials. The company plans to expand into other industries including: automotive repair, heavy trucks, health and fitness, hospitality, medical, dentistry, service, retail, professional services and real estate. To learn more about the app and program visit www.testimonialbuilder.com. Testimonial Builder assists businesses in digital marketing sectors including online reputation, video syndication, social media, consulting, training and customer satisfaction. Testimonial Builder enables salespeople to record a customer testimonial at the time of sale when they are most excited and then automatically promote the online video testimonial. Businesses can reach and acquire new customers with video testimonials. Once uploaded, the business can showcase video testimonials on social channels or websites and can link them to any email or digital marketing collateral. This integrated and automated program improves business’ online reputation and SEO while providing an interactive social media experience for customers resulting in increased sales. No advertising or other promotional use can be made of the information in this release without the express prior written consent of Testimonial Builder, Inc. This site, its contents and all related content, graphics, images, videos, processes, formats and documents are copyrighted property of Testimonial Builder, Inc. and are not to be reproduced or republished without the written consent of Testimonial Builder, Inc.Testimonial Builder is a registered U.S. Trademark owned by Testimonial Builder, Inc. Video Testimonials and Video Reviews are Service Marks of Testimonial Builder, Inc.
Corporate offices are located at 1954 Greenspring Drive, Timonium, MD 21093.